You’ve probably heard of mindfulness. These days, it’s everywhere, like many ideas and practices drawn from Buddhist texts that have become part of mainstream Western culture. But a review published in the journal Perspectives on Psychological Science shows the hype is ahead of the evidence. Some reviews of studies on mindfulness suggest it may help with psychological problems such as anxiety, depression, and stress. But it’s not clear what type of mindfulness or meditation we need and for what specific problem. The study, involving a large group of researchers, clinicians and meditators, found a clear-cut definition of mindfulness doesn’t exist. This has potentially serious implications. If vastly different treatments and practices are considered the same, then research evidence for one may be wrongly taken as support for another. At the same time, if we move the goalposts too far or in the wrong direction, we might lose the potential benefits of mindfulness altogether. Mindfulness receives a bewildering assortment of definitions. Psychologists measure the concept in differing combinations of acceptance, attentiveness, awareness, body focus, curiosity, nonjudgmental attitude, focus on the present, and others. It’s equally ill-defined as a set of practices. A brief exercise in self-reflection prompted by a smart-phone app on your daily commute may be considered the same as a months-long meditation retreat. Mindfulness can both refer to what Buddhist monks do and what your yoga instructor does for five minutes at the start and end of a class. To be clear, mindfulness and meditation are not the same thing. There are types of meditation that are mindful, but not all mindfulness involves meditation and not all meditation is mindfulness-based. Mindfulness mainly refers to the idea of focusing on the present moment, but it’s not quite that simple. It also refers to several forms of meditation practices that aim to develop skills of awareness of the world around you and of your behavioral patterns and habits. In truth, many disagree about its actual purpose and what is and isn’t mindfulness. Mindfulness has been applied to just about any problem you can think up – from relationship issues, problems with alcohol or drugs, to enhancing leadership skills. It’s being used by sportsmen to find “clarity” on and off the field and mindfulness programs are being offered at school. You can find it in workplaces, medical clinics, and old age homes. More than a few popular books have been written touting the benefits of mindfulness and meditation. For example, in a supposedly critical review Altered Traits: Science Reveals How Meditation Changes your Mind, Brain and Body, Daniel Goleman argues one of the four benefits of mindfulness is improved working memory. Yet, a recent review of about 18 studies exploring the effect of mindfulness-based therapies on attention and memory calls into question these ideas. Another common claim is that mindfulness reduces stress, for which there is limited evidence. Other promises, such as improved mood and attention, better eating habits, improved sleep, and better weight control are not fully supported by the science either. And while benefits have limited evidence, mindfulness and meditation can sometimes be harmful and can lead to psychosis, mania, loss of personal identity, anxiety, panic, and re-experiencing traumatic memories. Experts have suggested mindfulness is not for everyone, especially those suffering from several serious mental health problems such as schizophrenia or bipolar disorder. Another problem with mindfulness literature is that it often suffers from poor research methodology. Ways of measuring mindfulness are highly variable, assessing quite different phenomena while using the same label. This lack of equivalence among measures and individuals makes it challenging to generalise from one study to another. Mindfulness researchers rely too much on questionnaires, which require people to introspect and report on mental states that may be slippery and fleeting. These reports are notoriously vulnerable to biases. For example, people who aspire to mindfulness may report being mindful because they see it as desirable, not because they have actually achieved it. Only a tiny minority of attempts to examine whether these treatments work compare them against another treatment that is known to work – which is the primary means by which clinical science can show added value of new treatments. And a minority of these studies are conducted in regular clinical practices rather than in specialist research contexts. A recent review of studies, commissioned by the US Agency for Healthcare Research and Quality, found many studies were too poorly conducted to include in the review and that mindfulness treatments were moderately effective, at best, for anxiety, depression, and pain. There was no evidence of efficacy for attention problems, positive mood, substance abuse, eating habits, sleep or weight control. Mindfulness is definitely a useful concept and a promising set of practices. It may help prevent psychological problems and could be useful as an addition to existing treatments. It may also be helpful for general mental functioning and well-being. But the promise will not be realised if problems are not addressed. 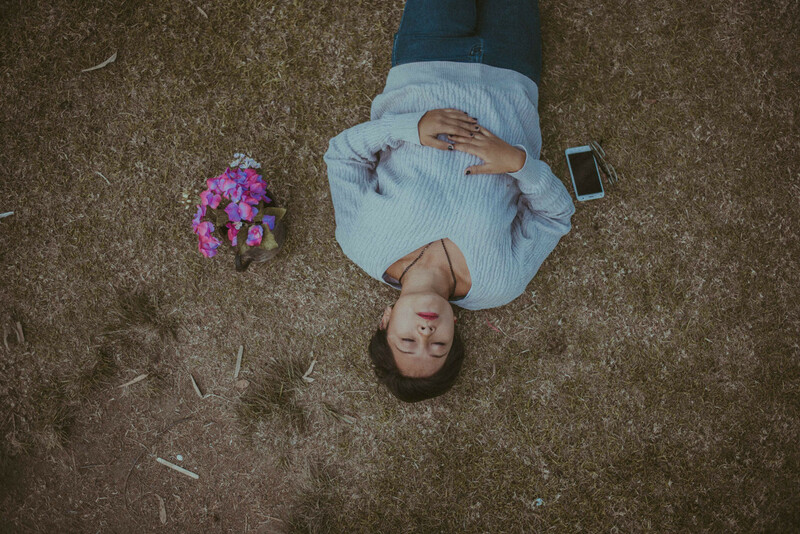 The mindfulness community must agree to key features that are essential to mindfulness and researchers should be clear how their measures and practices include these. Media reports should be equally specific about what states of mind and practices mindfulness includes, rather than using it as a broad term. Mindfulness might be assessed, not through self-reporting, but in part using more objective neurobiological and behavioural measures, such as breath counting. This is where random tones could be used to “ask” participants if they are focused on the breath (press left button) or if their mind had wandered (press right button). Researchers studying the efficacy of mindfulness treatments should compare them to credible alternative treatments, whenever possible. Development of new mindfulness approaches should be avoided until we know more about the ones we already have. Scientists and clinicians should use rigorous randomised control trials and work with researchers from outside the mindfulness tradition. And lastly, mindfulness researchers and practitioners should acknowledge the reality of occasional negative effects. Just as medications must declare potential side effects, so should mindfulness treatments. Researchers should systematically assess potential side effects when studying mindfulness treatments. Practitioners should be alert to them and not recommend mindfulness treatments as a first approach if safer ones with stronger evidence of efficacy are available. Nicholas T. Van Dam, is a Research Fellow in Psychological Sciences at the University of Melbourne and Nick Haslam is a Professor of Psychology, at the University of Melbourne. I work with a tool called the Judgment Index, based on the Hartman Value Profile which was developed over 50 years ago. We measure 39 factors broken down into Work Side (what you do) and Self Side (who you are). An item on Work Side is called Differentiation, DIF, or Noticing. Scores can range from 0-80 and the lower the better, at least to some degree. We find scores less than 20 to be very rare and evidence of powerful intuition. That person picks up subtle cues in their environment that others simply do not perceive. A person with very weak scores is oblivious, yet if we see scores too strong the person will pick up more subtle data than needed, may overpersonalize, and be a worrywart. We believe developing stronger intuitive capabilities is usually a result of diligence, discipline, and—more importantly—time. When we can see value in, and develop disciplines about, slowing down, noticing more will be a likely outcome. Thus, we think we can measure “mindfulness” relative to Noticing strength, and we think activities such as meditation, etc, can improve the scores. We also think, because we see it in our routine practice, some people are naturally more mindful, or Noticing, than others. An interesting research note, from a field I know very little about. The problems that the authors make reference to, especially about research methodology, remind me of work in an unrelated area of work, but maybe not so unrelated: metacognition. With really hard problems like the ones presented here, we have to start with the most simple aspect of them, make it tractable somehow, to get a handle even on what seems the most mundane, and then chip away carefully little by little. In work on metacognition a hard problem is getting an idea about the interface between what we can be aware of and knowledge and psychological processes that we don’t have access to, not subject to awareness. This is the one that came to mind while reading this report. Thanks for posting it. There are plenty of psychological traits and states that elude non-trivial/circular definitions. Neuroticism is defined as a tendency to react with negative emotions, but what are those emotions functionally, and what controls which responses are selected? Mindfulness is a state of non-judgemental awareness of one’s present surroundings. But what is awareness, what makes this state different from goal-directed or judgemental attention? What makes attending to the present surroundings meaningfully different from attending to memories, predictions, or abstract concepts? We know enough about senses and attention to speculate but it shouldn’t be surprising that we don’t have rigorous definitions. Frankly this is an inherent limitation of working in a psychological rather than biological framework. We mitigate this by looking for internal consistency in psychological constructs. What makes mindfulness different is that we don’t have an experienced-honed intuition of what it looks and feels like, and that we study it as experimental manipulations so it’s harder to pull validity out of pure statistics. It’s not unreasonable to think that the various manipulations you describe have a common thread, even if we can’t rigorously define it. It’s not as though these are all conflated in the literature, the only problem I can see is that they are conflated and overhyped in the public consciousness. Thanks for saying all this stuff that needed to be said. With respect, you seem to be just another person interested in making an issue out of mindfulness, but this time instead of diluting it and making it out to be all touchy feely gooey, which is what a lot of so called practitioners/trainers do to spin out their courses on it and thus justify their fees, you are criticising its lack of definition and justification. It HAS a very clear definition according to the father of mindfulness, Jon Kabat Zinn, and furthermore I think he would a agree that mindfulness is about paying attention or being present, both of which are cultivated by meditation, which, far from not being mindfulness, is the very backbone of it ! In fact I would argue that true mindfulness, unlike the adulterated and diluted versions on offer worldwide, is very little else than meditation, both in sitting practice and on the move. Furthermore, the MBSR programme has a vast wealth of reliable evidence about the success of mindfulness both with pain and depression. May I suggest you investigate these and read Jon’s books before making any further wild claims. Mindfulness is not just another idea drawn from a Buddhist text. Sure Kabat-Zinn took the eastern philosophy out of his modern interpretation, but the root remains the same. The Mindfulness Sutra. Perhaps that’s where you should start. It does have 2500 years of experience. It’s a mistake to think of mindfulness as a means to an end. It’s an end in itself. It is not a tool to create well-being – it is well-being. You can define meditation very broadly (if you choose to) likewise mindfulness. All the most important things in life elude easy definition. The article is a strange one but SOOO! western. It is based on an idea that we will define and test something that defies all description and the effects of the work vary dramatically from person to person. There is nothing to gain in meditation but lots to lose. How do you measure the bits of you that you were convinced were an intrinsic part of your makeup? Then to find that they have fallen away and were false, whilst something you did not value at all has far more impact on your life? At its centre is death and the ego knows that you are aiming at it. It feels like real death and takes a very strong (or desperate) person to step off that cliff edge. The damaged and seekers are attracted to it, yet the grace of the final solution falls on very few. No wonder it is amazing and the great mystery in life, yet it can be dangerous to a small minority. It is not something to play with, it demands to be taken very seriously. Yet if you stick with it for a few years, all get very subtle gifts. Yes, it may lead to “loss of personal identity”, which is – paradoxically – one of the most beneficial things about it. It is this make-believe “personal identity” that makes people unbalanced and sometimes plain crazy. Meditation frees one from this deranged belief in something that actually doesn’t exist: “personal identity”, and things really start looking up after that. There is nothing to be gained, however, in meditating to get something out of it. It’s what you are able to dispense with, that brings the rewards. Have the authors read the research on objective changes to the brain brought about by meditation practice? Also, are they aware of the growing evidence base for ACT – a mindfulness based therapy in the behaviourist tradition? ACT attempts to separate out the processes which effect change. Also, how strong is the evidence base for other treatments – medication and CBT? How does medication work, and which ones to prescribe? No one seems to really know.